In a bowl, combine the first 10 ingredients and blend well. Set up a pot with 2 inches of water in the bottom. 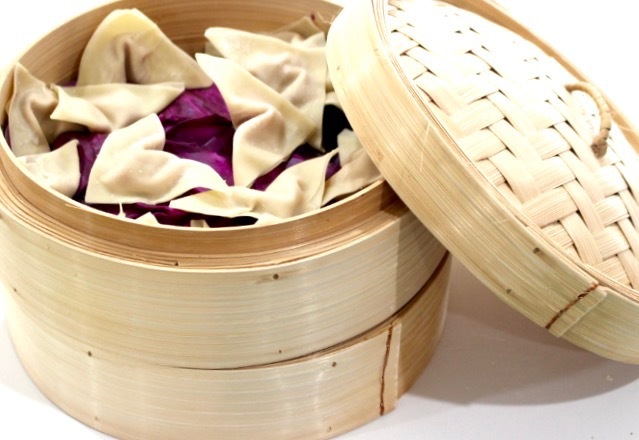 Place a bamboo steamer or a basket on the pot and line with cabbage leaves to keep the dumplings from sticking. Arrange dumplings in the steamer making sure that they do not touch (cook dumplings in batches). Set over medium-high heat, cover and steam 12-15 minutes. While dumplings are steaming, combine all ingredients for dipping sauce. As soon as dumplings are done, serve immediately with the sauce.